The one post at Skunkworks that has sparked the most interest was that concerning the Electromagnetic Hypothesis (EMH), that some UFO/UAP sightings and perhaps even encounter experiences could be accounted for by observed but unexplained naturally-occurring EM and plasma phenomena. One of the major researchers to develop this idea was Michael Persinger, who has died at 73. The Daily Grail has posted an obituary and summary of Persinger’s research and the controversy and criticisms it inspired. Interested parties will be pleased to find at least two videos and links to ten blog posts Persinger wrote in reply to his critics. As a partial explanation for sightings and encounters, Persinger’s work strictly falls outside the purview of Skunkworks, exploring, as his research does, the being rather than the meaning of the UFO phenomenon. What is compelling, though, is the way his research suggests that the Earth herself might be imagined to communicate with human beings via EM phenomena. 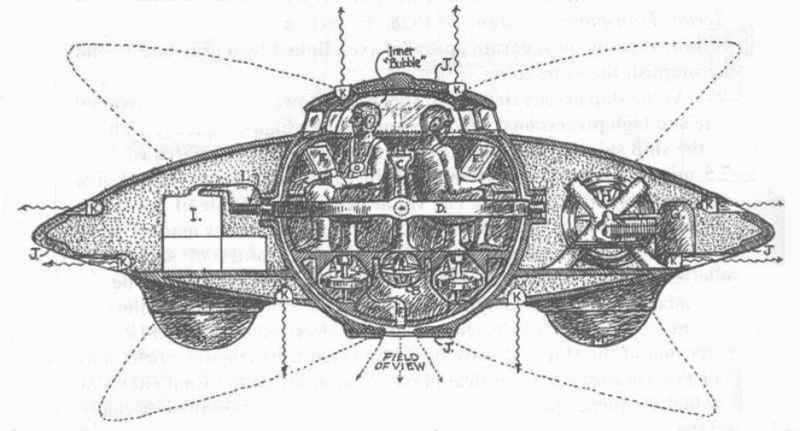 That Flying Saucers arguably reveal more about how we think and feel about technoscience and the fate of society than about extraterrestrial visitors has been a mainstay since Jung’s pioneering speculations. That Contactees and Abductees both have received warnings concerning environmental catastrophe segues nicely with the notion that the Earth articulates her concerns via tectonic energies and an available image reservoir, whether a Collective Unconscious or not. That Earth itself transmits EM energies at 30-33 Hz (an instance of a numerological pattern that runs through the whole mythos) and that these transmissions are called Extra-low Frequency (ELF) waves is also poetically suggestive, especially in view of the links made to Faery lore and the UFO mythology by, among others, Jacques Vallee…. Having recently secured a copy of Persinger’s and Lafrenière’s Space-Time Transients and Unusual Events (Chicago: Nelson-Hall, 1977) I hope to share a review sometime in the future. At the only “ufological” blog I visit, a complaint has been made that “the conflation of the paranormal with UFOlogy….alien abductions, crop circles, cryptozoology, and hordes of New Age fluff” makes it so ufology, as a serious concern if not nascent discipline, can’t, as it were, get off the ground. My, expanded and developed, response follows. Methodical inquiry (“science”) only gets under way once its basic concepts are articulated, a workable object is obtained to study and methods of investigation proper to that object grasped and developed. Of course, existing science demonstrates that the same object can be studied by different disciplines, e.g., emotion by psychology, neuropsychology, and anthropology, among others, and that sometimes there is no object to study, as was the case with phlogiston. On the one hand, the community of ufophiles is hardly a homogeneous group of like-minded and like-educated persons; it is wildly heterogenous, so discussion goes off in all directions. From such disciples no discipline is likely to arise. On the other hand, other phenomena get yoked in, because they appear at the same time: glowing balls of light are associated with the appearance of some crop circles; Big Foot sightings do accompany UFO sightings; nor does it take a scholar of New Religious Movements to hear the “New Age fluff” in the preachings of Orthon, Semjase, and their ilk (ignoring for the present that Flying Saucers have always been imagined in the context of occult thought: Guy Ballard met the prototypes of Adamski’s Orthon in the 1930s, for example). On the third hand, at least three researchers in three different fields (Jacques Vallee (Dimensions), Hilary Evans (Gods, Spirits, Cosmic Guardians: Encounters with Non-Human Beings), and Terry Matheson (Alien Abductions: Creating a Modern Phenomenon)) have noted parallels between UFO sightings, visions of angels and of the Blessed Virgin Mary, hauntings, shamanic initiation experiences, Near Death Experiences, alien abductions, Fairy abductions, and so on, which would seem to suggest a general theory of apparitions, not without its natural scientific, psychological, and sociological anchors. As usual, the UFO phenomenon (or not) illuminates, if not creates a vortex that whips together, all manner of material together, precisely in a way to frustrate our existing rational schemata and to suggest there is indeed more in Heaven and Hell than is dreamt of in our philosophies, natural and otherwise. It brings to mind the passage from Borges that so fascinated Foucault, who cites it at the beginning of his Preface to The Order of Things. (The original in English translation is found in “The Analytical Language of John Wilkins” in Borges’ Other Inquisitions). These ambiguities, redundancies, and deficiencies recall those attributed by Dr. Franz Kuhn to a certain Chinese encyclopedia entitled Celestial Emporium of Benevolent Knowledge. On those remote pages it is written that animals are divided into (a) those that belong to the Emperor, (b) embalmed ones, (c) those that are trained, (d) suckling pigs, (e) mermaids, (f) fabulous ones, (g) stray dogs, (h) those that are included in this classification, (i) those that tremble as if they were mad, (j) innumerable ones, (k) those drawn with a very fine camel’s-hair brush, (l) others, (m) those that have just broken a flower vase, (n) those that resemble flies from a distance.